Please join me at this event at which I can promise you, in a non-legally binding way, that there will be scones. And, by the way, scones rhymes with Fonz not with stones. This is not up for debate. 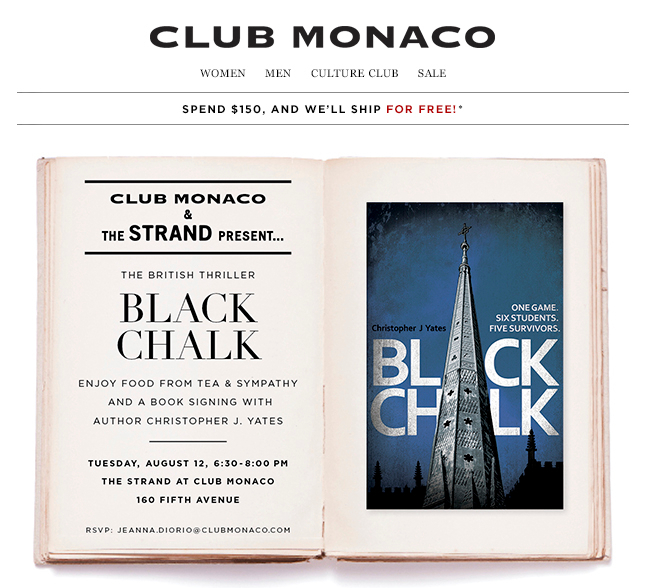 Tuesday, August 12, 6.30 – 8.00pm, The Strand at Club Monaco, 160 Fifth Avenue (at the corner of 21st Street). Books will be signed and jam will be placed on the scone before the cream and not the other way round because the other way round is THE WRONG WAY ROUND.